management services such as marketing, sales, promotions, construction, interiors and operations, we at VRS take pride in the timely delivery of highly efficient services that are largely result driven. Over the years, our team at VRS Ventures has dealt with leading developers of Northern India such as Omaxe, JMD, Acme, Ansal Housing, ATS and many more. 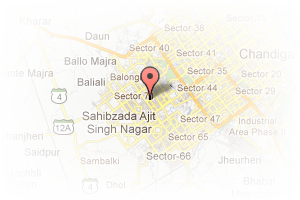 Address: 200 ft airport road, Sector 68, Mohali, Chandigarh, India. This Builder Profile page for "VRS Builders 7 Promoters" has been created by PropertyWala.com. 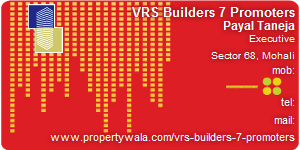 "VRS Builders 7 Promoters" is not endorsed by or affiliated with PropertyWala.com. For questions regarding Builder Profiles on PropertyWala.com please contact us.